Bed In A Box review is meant to explain why this mattress could be a good choice for you. Nowadays, people are looking for great-quality mattresses with an affordable price tag. If you are also one of those customers, you must have definitely come across “Bed in a Box”. As with most kinds of reviews about bedding, the Bed in a Box review will provide you with valuable insight. This will eventually (hopefully) aid in your purchasing decision and also to determine if you chosen the perfect one. So what, basically is Bed in a box? This is a mattress brand, which is based in Tennessee. Even though their primary operation is through their official website, they also have dealerships with other departmental stores in 11 states. Note that these stores are physical locations and not online shopping. Bed in a box typically sells rolled up mattresses, which make up for easy shipment. Hence, this is where they get their name. In order to make your viewing slightly easier, I have listed below some of the most popular categories provided by Bed in a Box. • Superb relief from pressure. • It has been suggested that the average lifespan of these mattresses is around six years. When compared with other mattress brands, it has been found that they also rate similarly in terms of durability. • Prices range from $500-$3,000. More than 30% of customers have found this price range to be reasonable and also perceive it as a value for money purchase. • The beds moderately conform and mold to one’s body, resulting in uninterrupted and peaceful sleep. • It has been found to reduce back pain. • Seven models are currently being provided which all have more or less soft or medium firmness. For those who are looking for more hardness, this is not the mattress brand for you. • The mattresses absorb motion from one person to another so that sleep does not get disrupted. • About 15% of consumers report odor gassing from Bed in a Box™ mattresses. • Some consumers have also found these mattresses to be a heat trap. • The beds are usually quiet on almost all occasions. However, it may sometimes make the occasional creaking sound. • It has a relatively fast break-in period compared to the other brands. • Low maintenance. Easy to lift, move, and handle. • Provides a warranty of 20 years. • Customer service is regarded as being satisfactory and above average. • No noise and good motion isolation. • Average reports of sleeping hot. Since Bed in a box mattresses are only being sold from their website and a handful of physical outlets, customers have complained about the limited availability. They would prefer more outlets to be made available for their convenience. They also do not provide a very diverse range of options. Most of their offerings are just minor adjustments made to the basic design. Initially after making a purchase, customers have complained of a foul and off-gassing odor. However, this is nothing to worry about as this will evaporate over time. • Purchasing a mattress over the Internet may seem like a risky option. That is why they provide a 120-day zero risk return policy. However, the downside is that you will still have to keep the mattress for 60 days before it can be returned. • They provide a guarantee option of 20 years. They believe that a quality mattress should be an investment and provide quality over the years. • Independent and accredited testing laboratories for content, durability, and emissions certify their foam. This means that you can be confident about the foam, which they are providing. 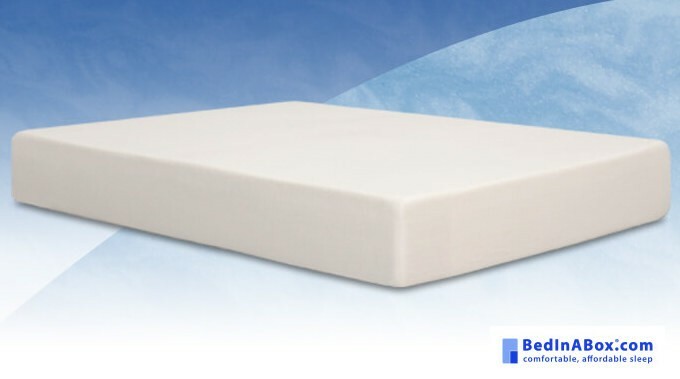 • All the polyurethane and the latex foam cores in their mattresses are Made in USA certified. All of the covers on their mattresses are either manufactured in Canada or USA. This shows that these mattresses are completely safe for you. • The CoolRest GEL is the most technologically advanced pressure-relieving memory foam in the world. This provides you with a peaceful and uninterrupted sleep. • They use open-cell memory foam technology, which is combined with mattress covers. This is specially designed to release body heat. should make you feel a little more confident in your decision. People have also found it to be of better value than the other brands. Even though most of their brands are quite popular, their basic PacBed Original tops the list. Even though most of their mattresses have the same amount and density of foam, shoppers are likely to find the entry-level option to be of the best value. Most of the drawbacks are minor issues, however they are still relevant and important. Lastly, carefully compare the different models to find your right match and fit.